Hong Kong-based PCCW's purchase of a satellite centre in South Africa, hard on the heels of Huawei sealing a deal with the country's state-owned Telkom, is the latest indicator that Chinese companies intend to play a big part in the continent's fast-growing telecoms expansion. By GAVIN DU VENAGE. Africa is second only to China in the pace of growth of its telecommunications sector, which makes it all the more surprising that Asian companies have been noticeably low-key when venturing into this field on the continent. This may be about to change. Earlier this week Hong Kong-based PCCW said it had bought a satellite centre from South African mobile-phone provider Vodacom for US$26 million. Vodacom’s Gateway satellite facility near Johannesburg beams mobile phone signals into the rest of Africa. Following the deal, Vodacom will now purchase satellite time, should it need it, from PCCW. The announcement follows a similar one from a few days earlier, when Shenzhen-based Huawei said it had won a contract from Telkom, South Africa’s state-controlled fixed-line and broadband provider, to participate in a much-needed infrastructure overhaul. “This is the largest fixed network modernisation project for Telkom,” says Peng Song, Vice President of Huawei South African Region. Telkom is Africa’s largest fixed-line telephone operator, and dominates South Africa’s broadband service, but aging infrastructure and fierce competition from mobile operators have eaten away its market share. The telecommunications revolution in Africa has been nothing short of extraordinary. It has broken with the African narrative of the past, in which money goes in search of cheap commodities that are then shipped elsewhere to be turned into items of value. Instead, the bulk of investment has been in fixed infrastructure that has a direct benefit to the nearly one billion people who call Africa home. Total investment is expected to reach $70 billion in the next two years, the United Nations’ International Telecommunications Union predicts. South Africa’s MTN and Vodacom, Bharti Airtel of India and Gulf-based Etisalat are among the largest players, up and down the continent. France’s Orange and the UK’s Vodafone are also represented. Almost all providers carry out their business with some sort of joint venture with either a state-controlled operator or locally owned entity. With many Africans going from cradle to grave without ever owning a landline, the advent of mobile communications has been embraced as a life-changing event. For most, picking up a mobile phone was the first time they had made a call. Now, with the advent of smartphones and tablets, a parallel revolution of Internet connectivity is expected to follow. For companies like Huawei, ZTE (China’s second-biggest phone-equipment maker) and PCCW, this may be the gap they need to get into an intensively competitive environment. The rough-and-tumble of African telecommunication politics would appear particularly suited to Chinese companies, which have already made their mark in other industries across the continent. So far, though, their presence has largely been limited to support infrastructure. Two years ago, Wang Jianzhou, then board chairman and chief executive of China Mobile, the world’s largest mobile-phone carrier, said the company was looking for acquisitions in Africa, and was willing to take either a minority or majority stake in a local operator. So far it appears he has not found a suitable deal. Part of the failure of Chinese companies to secure operating licenses or partnership deals may be wariness on the part of some African countries on the business model that they bring with them. This may also explain why Huawei, which was initially noted for its network-building expertise and has since branched out into providing handsets and other mobile telecom devices, pointedly notes on its website that it now employs 2,000 people in Africa, “more than half of [whom] are local”. It now operates in 30 countries on the continent, and appears to be aiming to grow from a behind-the-scenes equipment supplier to a stage where it is the handset of choice for Africans, and eventually, the rest of the world. Just as many Africans make their first ever phone call with a mobile handset, so do they now increasingly access the Internet for the first time on a hand-held device. Huawei appears to be using Nigeria as a proving ground for its handsets and smartphones, which it intends pitting against international rivals such as Nokia and Apple. The Wall Street Journal reports that Huawei has targeted world-wide revenue from device sales to rise above $6 billion this year, from $4.5 billion last year. Huawei is also aggressively rolling out its branded modems, routers, tablets, fixed and cordless phones, and mobile phones in Ghana. In 2005, it signed a $150 million agreement to hook up government and state institutions to the Internet and drive the installation of broadband and optic fiber networks in the West African country. South African telecommunications companies also have a strong relationship with Huawei and ZTE. Its four operators are all using Huawei and ZTE equipment in their networks. All of which makes the PCCW deal all the more intriguing. David Lerche, an analyst at Avior Research in Johannesburg, points out that satellite carriers are the least attractive option to move signals, as they are expensive and less reliable than fibre optic or copper wire. “Vodacom sold it because it was no-longer making a profit. 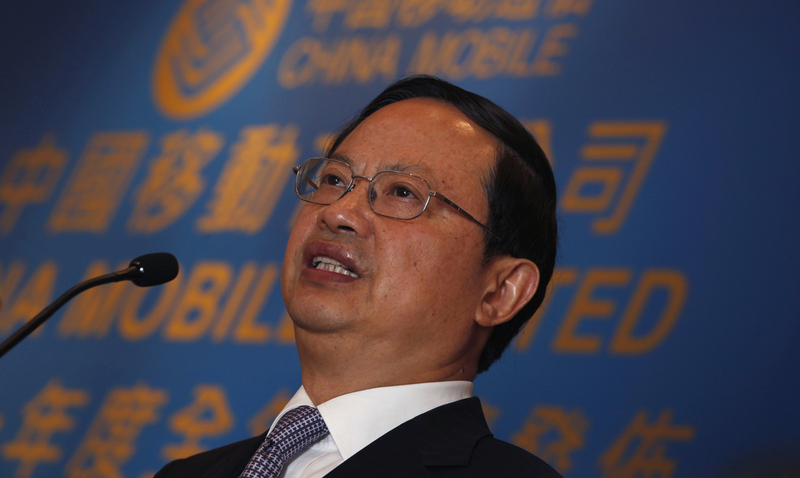 Maybe PCCW thinks it can turn it around,” he says. He raises another possibility: because the African mobile market is already sewn up, the only way to acquire a good quality license anywhere on the continent would be to buy it. Even with a market capitalisation of around $3 billion, PCCW would be unlikely to afford this route. China Mobile, however, with cash reserves of $50 billion, most certainly could. “China Mobile could buy MTN twice,” says Lerche. Quite possibly PCCW is positioning itself to take advantage of a move by the $200 billion Chinese operator to finally move on an African license. Or even on an African mobile-phone operator itself. This edited article is used courtesy of Asia Times Online, who retain copyright.